Two Nigerian twin Kehinde and Taiwo Adeyemi have recreated an old photo taken when they were 8 years old. 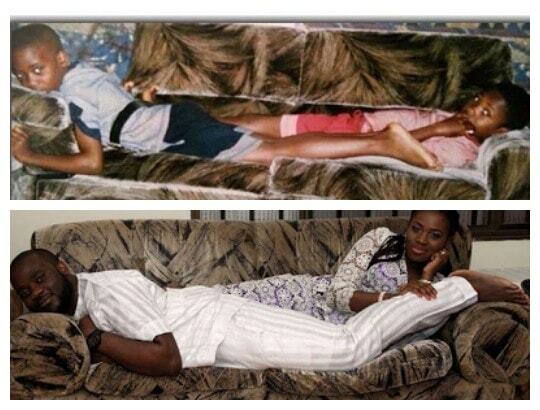 "8yrs old vrs 29 Same set of sofa we couldn't fit into the previous one loool. All hail African carpenters mehn 20yrs and the sofas are still intact!!! #tbt @taiwoadeyemi"